As I sipped champagne at the International Emmy Awards ceremony in New York this week, I was bowled over by the number of countries represented at this 40th anniversary event. Gone are the days when UK shows swept the board at the International Emmys, which honour TV outside of the US. Argentina won both male and female acting categories for the same show, Television x La Inclusion, while France, Brazil, Germany and Australia all picked up gongs, the latter for The Amazing Race, which it seemed to me was a bit long in the tooth as a format 11 years after its US debut. 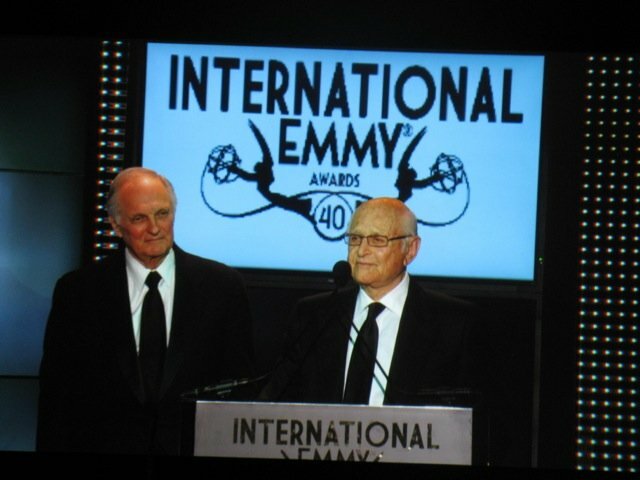 Other winners included Korean Broadcasting Corporation head Kim In-Kyu, after a 40-year career, plus M*A*S*H star Alan Alda and Norman Lear, the 90-year-old US producer and legend who reformatted the British shows Steptoe And Son and Till Death Us Do Part (licensed by Beryl Vertue’s Hartswood Films) into 1970s US TV hits Sanford And Son and All In The Family. And if you thought the winners were beginning to skew a bit on the old-ish side, Glee and American Horror Story creator Ryan Murphy also picked up an award for promoting tolerance and inclusion. The BBC’s Absolutely Fabulous (another oldie but goodie) and Hat Trick’s Sky sitcom Spy failed to score in the comedy genre, but the UK celebrated winning best mini-series for Channel 4’s Black Mirror and best doc for BBC2’s Terry Pratchett: Choosing To Die. Impressively, Kim In-Kyu’s award included a taped address by UN Secretary General Ban Ki-Moon. Still, for me, the highlight was Lear. This bright-eyed 90-year-old, whose 1970s sitcoms also included The Jeffersons and Maude, has been a writer and director as well as a producer, and he continues to pitch TV ideas. His latest, Guess Who’s Died, is aimed at the grey generation and Elliott Gould is interested in starring. 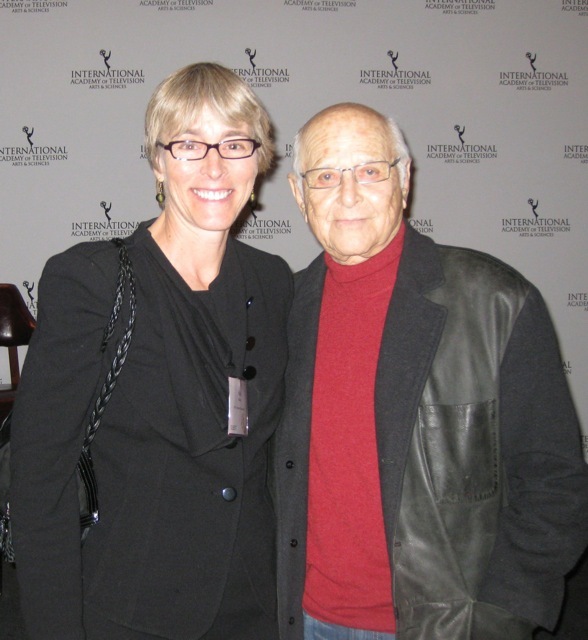 Lear has always used TV to push the social and political agenda, writing storylines that probed racism, women’s rights and homophobia. He optimistically believes that “when the world is saved, it will be the arts that does it”. He told me he was “grateful to see others picking up the cudgel to challenge stereotypes”. But he has been frustrated in the past year by US TV network execs not willing to pick up his latest pitch, which is set in a retirement village. “They are playing golf and making love and they are on their computers. They are doing all those good things,” explained Lear. But execs are cold towards anything beyond the 18 to 39-year-old Millennials demographic. “Never underestimate the arrogance of a TV network executive,” he said. His latest gambit is to pitch it as an international co-pro, so he should put a call in to Beryl Vertue. Who knows, maybe the dream team of the 1970s could make Elliott Gould the new Archie Bunker (the irascible star of All In The Family) for the greying generation of today? Gangnam-style that, all you Millennials!